Sometimes things don’t work out as you imagined. And if you think it can only be a bad thing, you are wrong. (Did I just write that down? I should repeat it to myself a couple of times.) 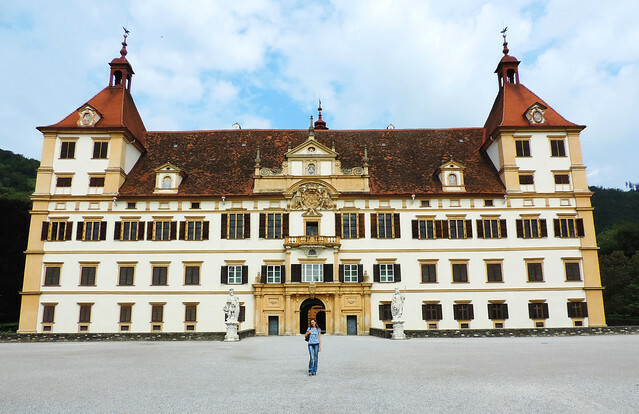 Discovering beautiful Eggenberg Palace was definitely not a bad thing. We went to Styria, this mountainous state of southern Austria for hiking in the first place. 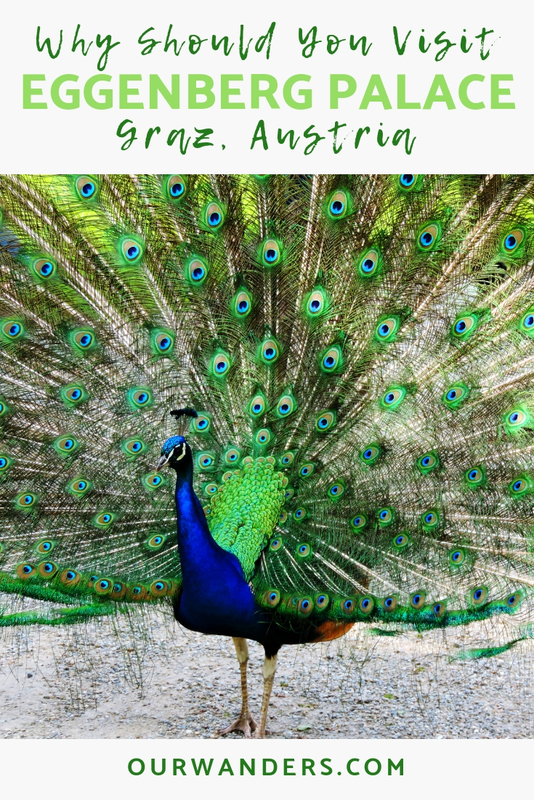 But since Graz is the capital of Styria, we should at least spend a day there, right? Especially (or only if?) the weather is not very cooperative for hiking. Well, it wasn’t. That’s how we ended up at Eggenberg Palace. Let’s design a castle which will be the symbolic reflection of the universe! – Hans Ulrich von Eggenberg said. And so it has happened. Well, if someone is the Governor of Inner Austria that could make certain things possible. 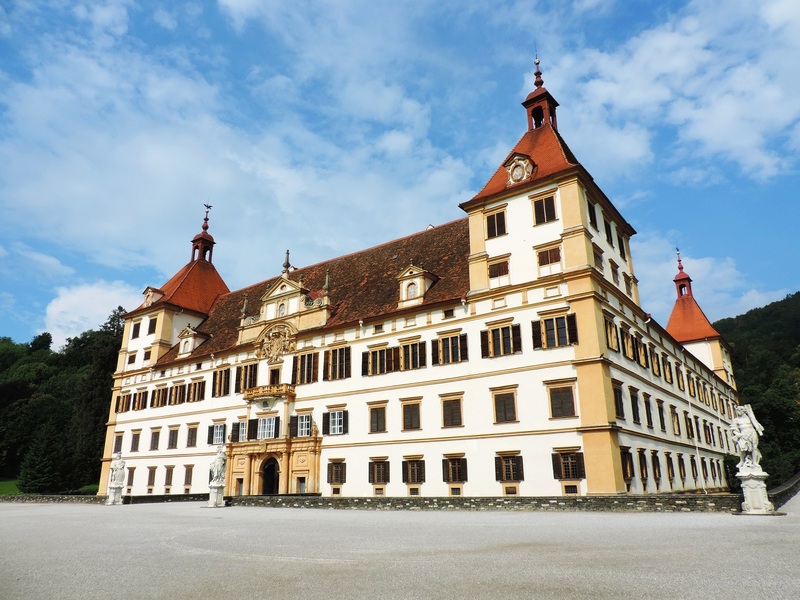 Eggenberg Palace was actually built to represent the wealth and status of the new Governor, Hans Ulrich von Eggenberg. Its design follows a mathematical and allegorical model based on the Gregorian calendar as a basis for this constructed universe. 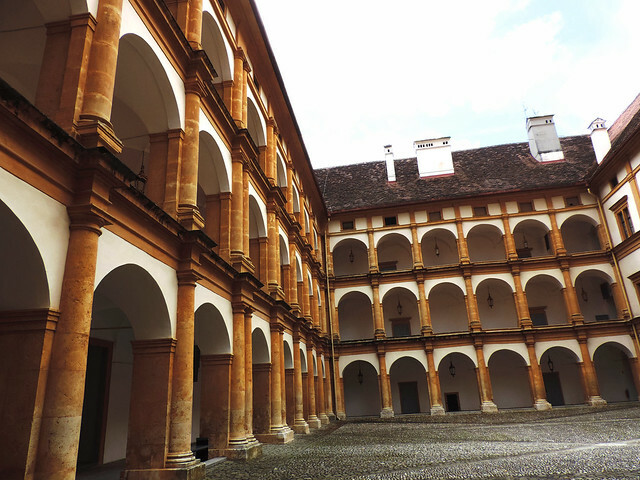 The palace has 365 exterior windows, 24 state rooms, exactly 31 rooms on every floor and 4 corner-towers. Though very few rooms are fully furnished, they are well-preserved and the wall and ceiling decorations are quite amazing! The Eggenberg family bought some beautiful treasures of East Asian craftsmanship like Chinese porcelain, silk paintings and Japanese lacquered work which can be seen in the Japanese and Chinese cabinets of the palace. The most precious Asian treasure is an early 17th-century Japanese folding screen with scenes of Osaka in the Japanese Cabinet which gives insight into the history of Japan of that time. Its real value and importance was unrecognised for over 250 years! The Planetary Room is the largest of the state rooms with beautiful Baroque interior decoration. The state rooms can be visited only as part of a guided tour, but there’s quite frequent tours in a variety of languages. More info here. 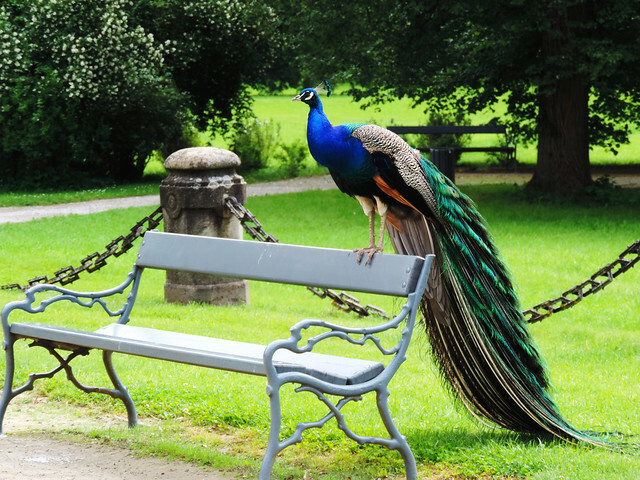 We usually love palace gardens just as much as palaces (if not more) and it was not different at Eggenberg Palace either. 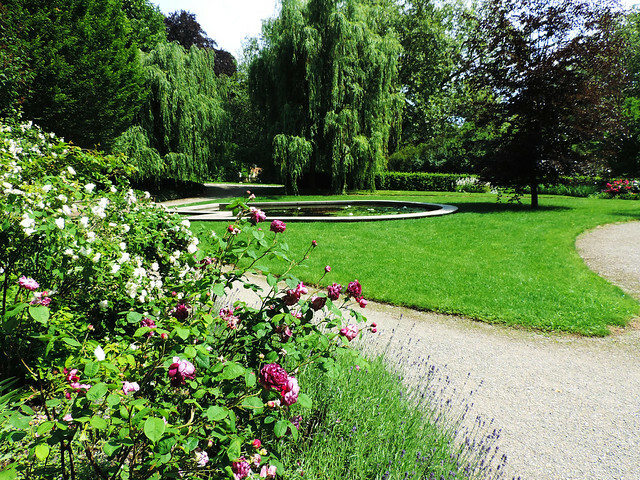 Our favorite is probably the small rose garden, but the tons of different species of huge trees amazed us, too. 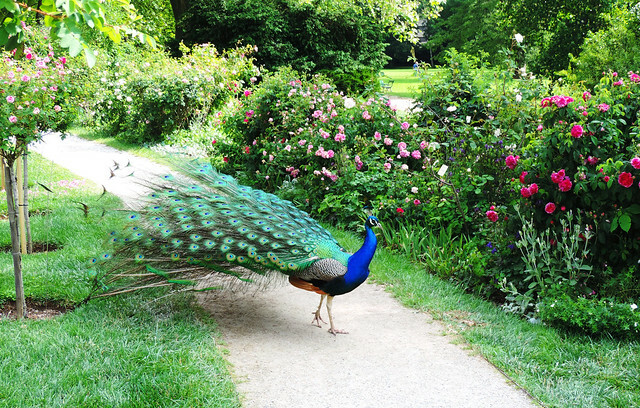 We easily spent a couple of hours exploring the gardens. 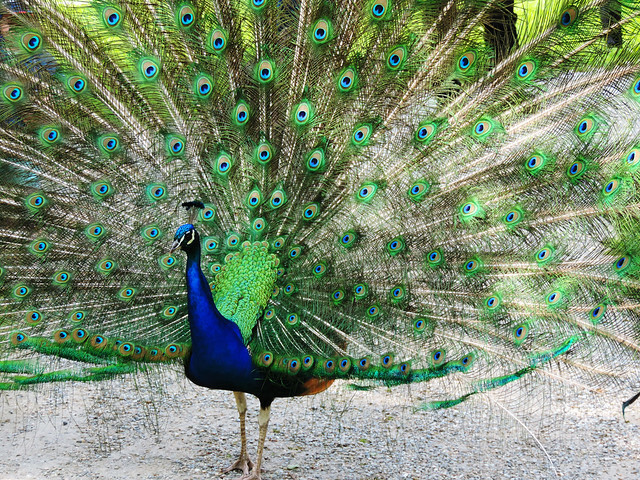 Oh, and don’t be surprised to see peacocks. Not one, but like 8-10. Quite a nice color addition to the gardens. Have you been to any of the Austrian cities? What did you like the most?